Named the “Best Town Ever” by Outside Magazine in 2014, Duluth is a mecca for outdoor adventure. The port city sits at the far west point of the Great Lakes on the north shore of Lake Superior, the largest freshwater lake in the world by surface area. It is also home to Superior National Forest’s headquarters, making it the perfect destination for outdoor-loving city slickers looking to get away from the hustle and bustle of the Twin Cities. While everyone enjoys going up north in the summer, the hardiest folks can find plenty to do in Duluth during the winter months. In fact, it’s perhaps the best time of year to go. Not only do you avoid the crowds December through March, you also have the chance to take advantage of a long list of outdoor activities that are only available when the mercury drops. 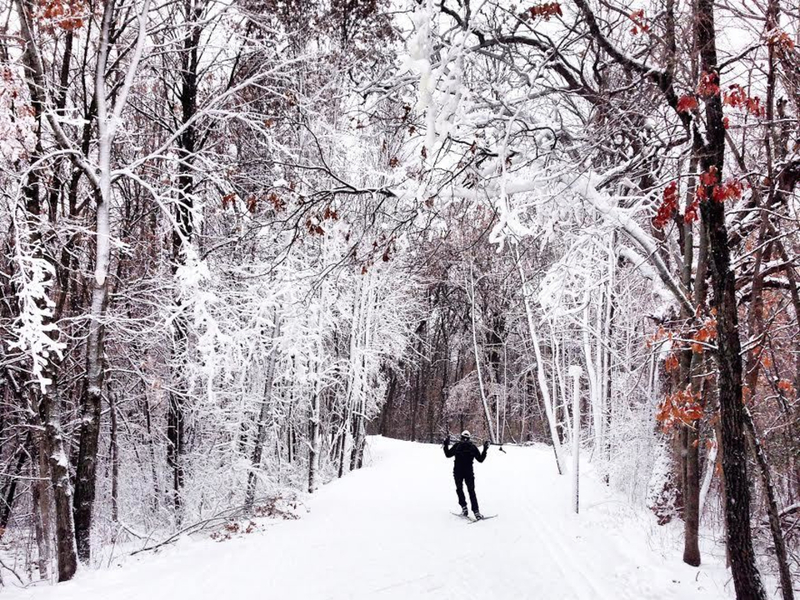 We’ve rounded up some of our favorite adventures in and around the Duluth area to give you a jumpstart on your next winter day trip or weekend getaway. A privately operated year-round recreation center, the Snowflake Nordic Center offers 15 kilometers of groomed trails on around 200 acres of land. Complete with a warm chalet, waxing room, and equipment rentals, it’s a great venue for both individuals and families. Newbies can even line up private and group lessons. 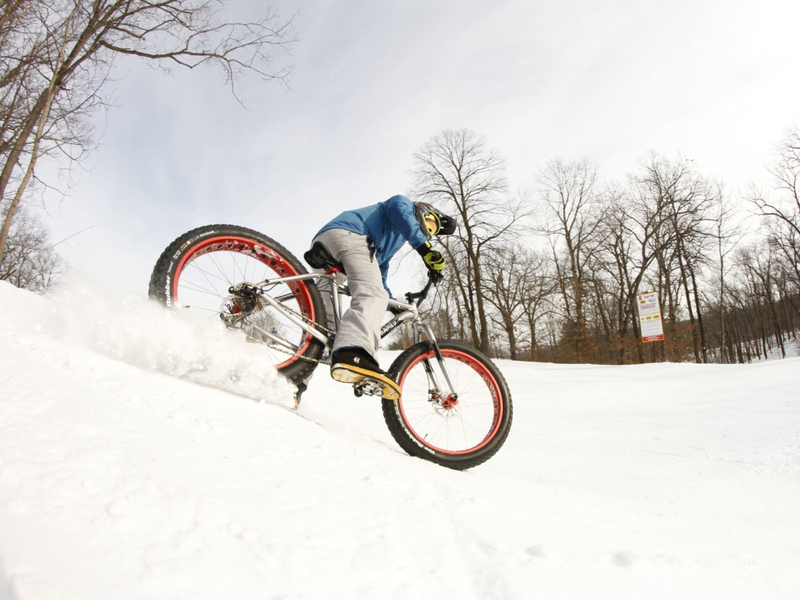 If you’re looking to explore the winter landscape and burn a few calories, consider signing up for one of Day Tripper of Duluth’s fat biking tours. With two, three, and six-hour adventures to choose from, they outfit and lead riders through thick forested trails and atop rocky bluffs overlooking the lake. The full day trip even includes lunch from Northern Waters Smokehaus to keep you going for the long haul. 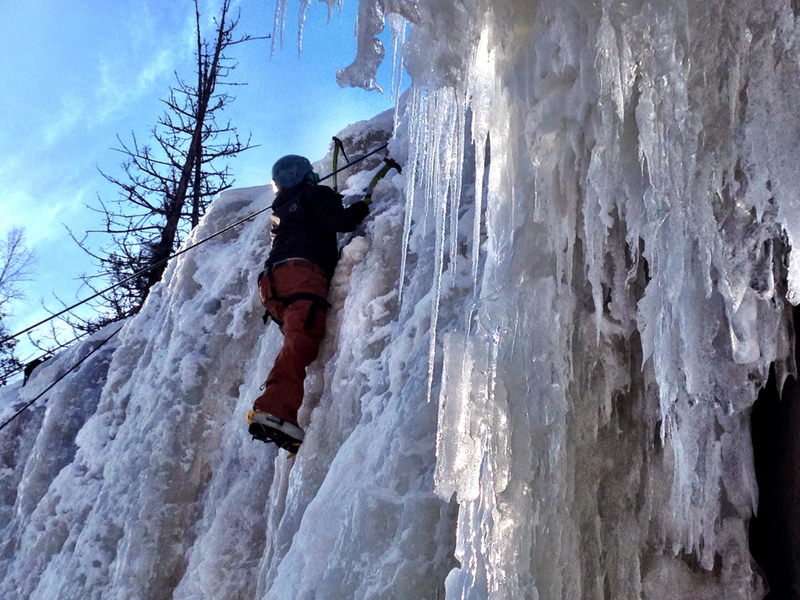 Rock climbers will love ice climbing. Positive Energy Outdoors can help you tackle a number of sites in and around Duluth, including Casket Quarry, Gooseberry Falls State Park, the Cascade and Devil Track Rivers, and Robinson Park in Sandstone. 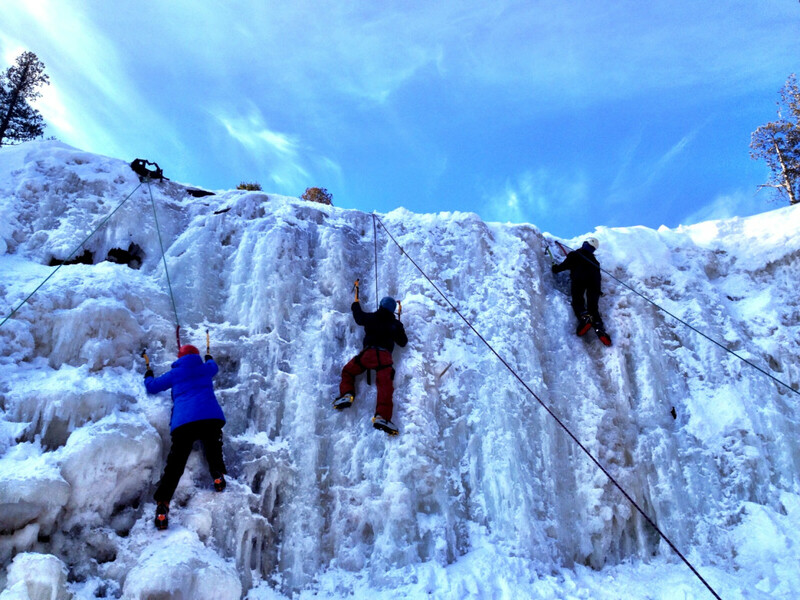 With guided climbing and instruction available seven days a week, this is one of the most unique ways to experience the hidden winter gems of the North Shore. Snowshoes allow you to explore areas of this park that can’t be reached any other time of the year. With 640-acres of frozen ponds, creeks, and woodlands, Hartley Park maintains 6-miles of multi-use trails and plenty of other uncharted territory. It even includes two miles of the famed Superior Hiking Trail. 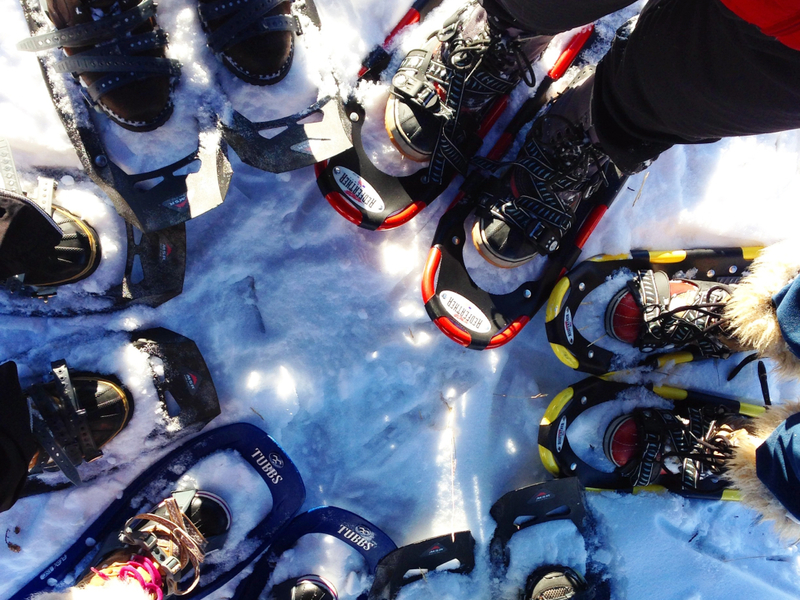 If you plan on visiting, you can bring your own snowshoes or rent them at the nature center for just $10 per day. 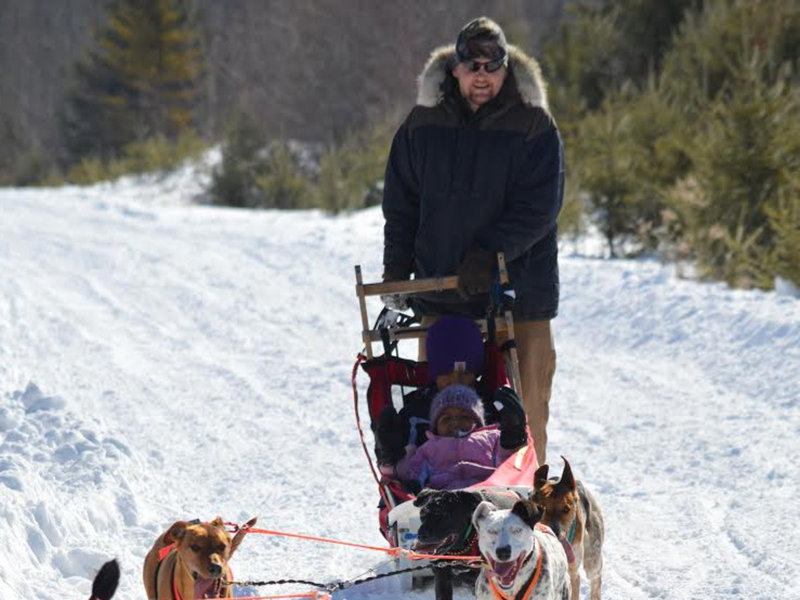 Located 20 miles north of Duluth, Endurance Kennels offers dog sled rides and tours around the area. Fit for the whole family, sleds top out at around 18 miles per hour. From the beautiful natural surroundings, to wolf and moose tracks, this is a great way to experience the North Shore’s rugged and snowy landscape. If you’d rather just bundle up and spectate, consider traveling to Duluth at the end of January to watch the start of the 400-mile John Beargrease Sled Dog Marathon as racers make their way to Grand Portage. 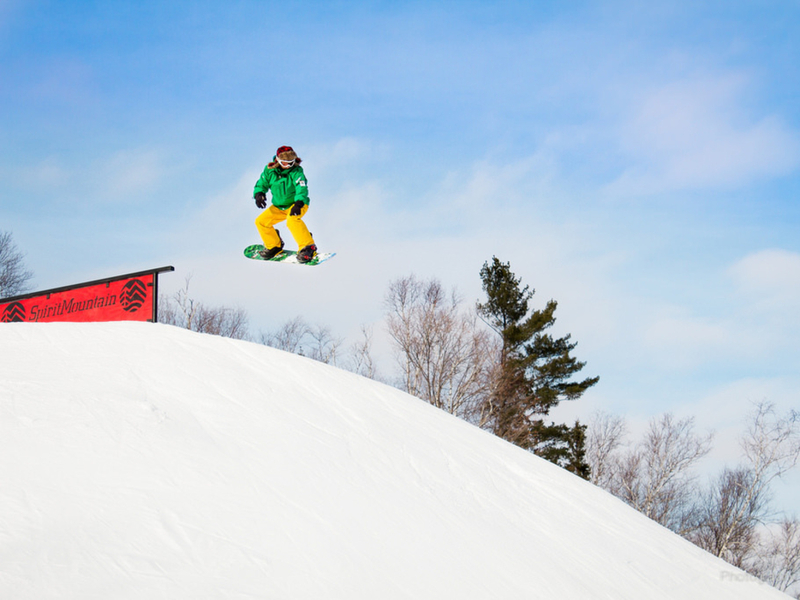 For those looking to shred, pack your skis or snowboard and head to Spirit Mountain in Duluth. The mountain offers 22 downhill runs, the Midwest’s largest terrain park, and 22 kilometers or Nordic trails if you prefer skinny skis. They have trained instructors to show beginner skiers the ropes, as well as rental equipment. For a little something different, Spirit Mountain also operates an alpine coaster, the Timber Twister, which races down the mountain through the forest on a 3,200 foot track. 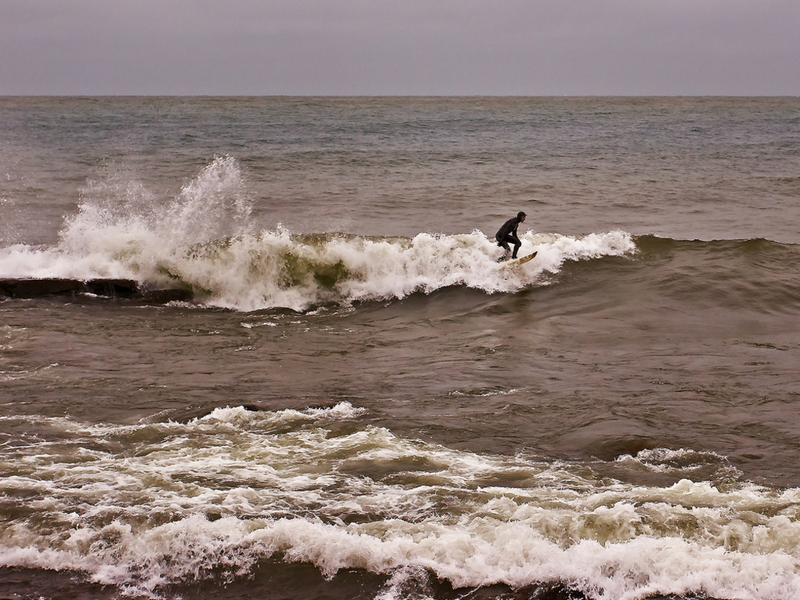 That’s right, winter surfing in Lake Superior. If you’re experienced with waves and winter weather, this may just be the thrill you’re looking for. Stoney Point just north of Duluth has become a popular surfing spot for surfers all year round. As this video shows, it’s not for the faint of heart. Be sure to bring a wetsuit. Looking to get your pup in on the outdoor action? It doesn't get much better than skijoring. If your dog is more than 30 pounds and can pull, they are perfectly suited for this sport. 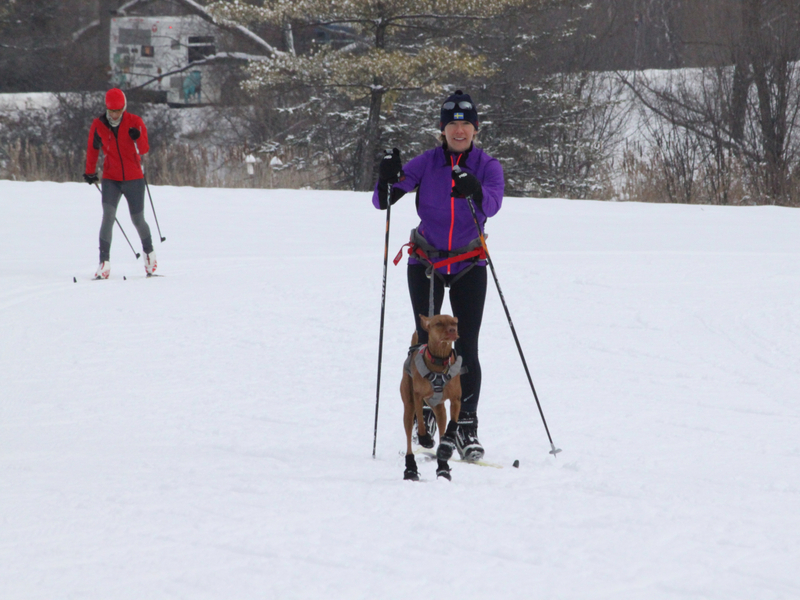 Positive Energy Outdoors organizes lessons for groups and individuals around Duluth, such as the Biskey Pond Ski Trails in Fredenberg Township. A great workout for everyone involved, your dog will love this activity. Located just across the Aerial Lift Bridge from Duluth is Superior, Wis. This also happens to be the home of the first permanent ice cross downhill track in the United States. In January, they held a Red Bull Crashed Ice event, and later this month the track will host the Riders Cup Can/Am Series . 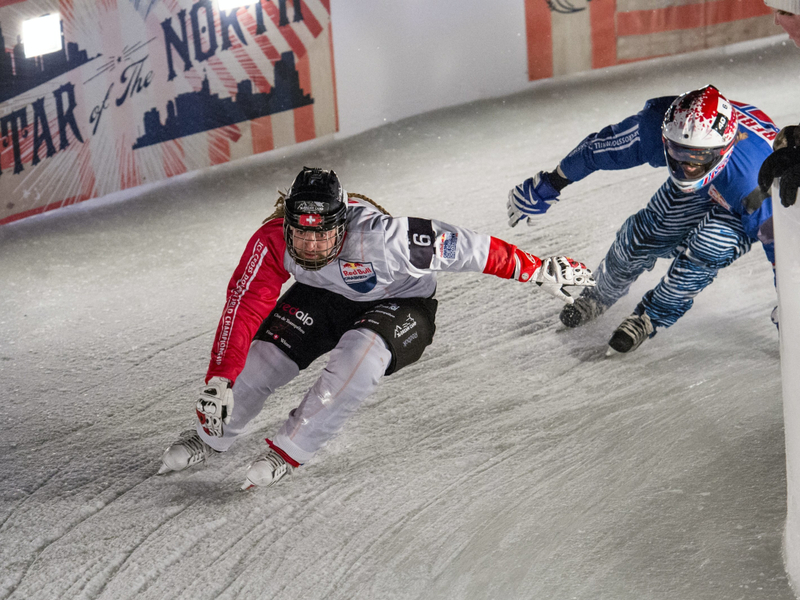 The track takes skaters down 350-meters of fast, technical, and icy terrain, testing both guts and skill. While ice conditions vary depending on the year, when it is safe, Lake Superior can be a great place to jig for lake trout in the winter. 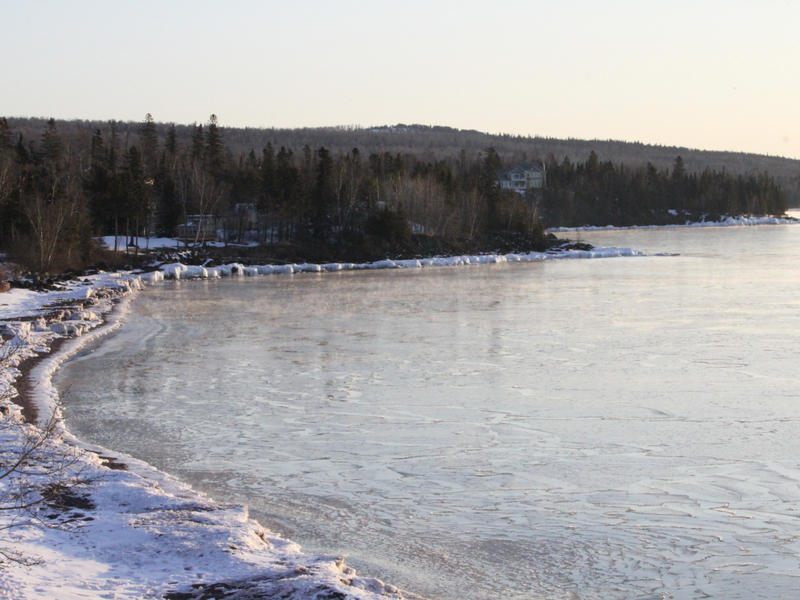 With 2014 being a cold year, Brighton Beach in Duluth was a hot spot for ice fisherman. Just keep in mind that depths reach more than 120 feet just a short venture off the shore, and even thick chunks can break off, so heed the “thin ice” warnings and always check with the Minnesota DNR before venturing out.